Made with a material that has properties similar to a fiber milk carton, All-Weather Posters can handle moisture without breaking down. All weather posters are perfect for political campaigns - they are a durable and long lasting solution to getting your message across. All weather posters are an economical way to promote your name, business or message. 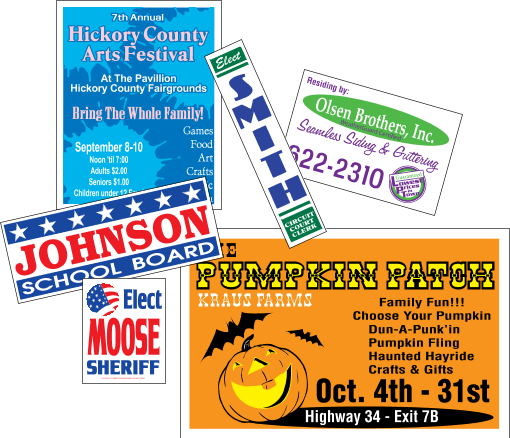 Available in large volumes at low prices, these signs make it possible to advertise anywhere. All Weather Posters come in a number of sizes and colors. All Weather Posters are great for election campaigns, school events and sporting venues. To request a quote on a All Weather Poster click here. Quantity discounts available.